More and more people are seeing the benefits of shopping secondhand, sharing instead of buying, and giving instead of throwing away. When you take small steps like bringing along a reusable bag or bottle, or donating unwanted furniture instead of setting it out on the curb, you join a community of people who are helping to create a Waste Free 253. Changing what we use and how we use it provides many benefits. Not only can you save money, meet your neighbors, and support your community, but you also help create a healthier environment by keeping stuff out of the landfill, lessening our demand for natural resources, and reducing pollution like harmful carbon emissions from manufacturing and transportation. Explore the resources below and find out how you can put a lid on waste. Bring along your favorite coffee mug or thermos in the morning. Keep a set of dishes at work to reuse. Pack a reusable shopping bag in your purse or backpack. Try reusable snack bags instead of single-use plastic ones. Wrap presents with newspaper comics, towels, fabric, or reusable gift bags. Save a tree by using cloth napkins instead of paper. Giving the gift of an experience can be a meaningful way to make memories. It also prevents the waste of time and money on something that may never be used. These thoughtful gifts can take the form of a gift certificate for something special, a night of babysitting, a visit to the spa, a delicious homemade meal, a performance event, tickets to the theater, yard work, and more. Be creative and your gift will be memorable! Secondhand stores can be fun and full of discovery. Before buying something new, consider looking for the same item at one of Tacoma's many thrift and secondhand stores, antique shops or sharing communities. By choosing lightly used items like clothing, home decor, books, movies and more, you avoid using new resources and prevent those items from being sent to the landfill. For reused building materials, visit Earthwise Architectural Salvage, Habitat for Humanity, and Second Use. You can also borrow the tools you need to get the job done at the Tacoma Tool Library. Buying and borrowing previously-loved items does more than prevent waste - it can save you money too! Many unwanted items in good condition can be donated to businesses and nonprofits across Tacoma. 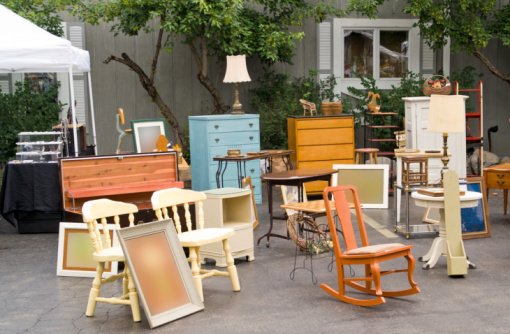 Contact your local thrift shop, antique store, or community service organization to see what items they accept. Furniture in good condition can be donated to the NW Furniture Bank, Goodwill, and Tacoma/Pierce County Habitat for Humanity. Contact these organizations to learn more, including opportunities to have your donation picked up for free. Clothing and other textiles that are torn or stained can be recycled into new items. Look for a USAgain, Big Brothers Big Sisters of Puget Sound or Northwest Center drop box, or visit your local Goodwill or Salvation Army to make your donation. Unwanted automobiles, both working and nonworking, can be donated to local organizations including St. Vincent De Paul of Tacoma-Pierce County, Tacoma/Pierce County Habitat for Humanity, Vehicles for Veterans, Goodwill, Northwest Harvest and Make-A- Wish Foundation. Bicycles can be donated at the Tacoma Recovery & Transfer Center or directly to Bikes for Kids or 2nd Cycle. Tacoma is connected through online communities that help people share items they no longer need. Join the Tacoma Freecycle group to be part of a worldwide sharing movement that reduces waste, saves precious resources, and eases the burden on our landfills. Join your hyperlocal Tacoma Buy Nothing Facebook group to meet your neighbors and to give (and receive) where you live. Did you know that the Tacoma Recovery & Transfer Center accepts more than cardboard, metals, glass and plastics? At the Recycle Center, you can drop off packing peanuts, bubble wrap, polystyrene (Styrofoam) blocks and more. Some of these are available to be reused for shipping and packing. You can donate a variety of items, including small appliances, household items, clothing, bicycles and more at the Goodwill Truck parked in front of the Recycle Center. Call the Tacoma Recovery & Transfer Center at (253) 502-2100 for more information. Choosing products with minimal packaging helps conserve resources and reduce waste. Another great way to reduce packaging waste is buying in bulk. Of course, this only makes sense when you know you'll use that much! Cardboard is a valuable material, and durable cardboard boxes have many good uses. Here's a new idea you may want to know about: the Give Back Box program. If you find yourself with empty shipping boxes, you can use those boxes to donate unwanted items through the mail. Fill your empty box with donations, then print out a pre-paid shipping label and mail your box full of donations to a local Give Back Box Partner at no charge. Store them in a box of photos and important documents. Use them to dry out electronics (but be sure to take out the battery and memory card first). Put them in your suitcase while traveling. Add some to your toolbox to reduce rust. Or add them to a container of other items where moisture can become a problem. The average family of four spends $1,600 each year on food that goes to waste. 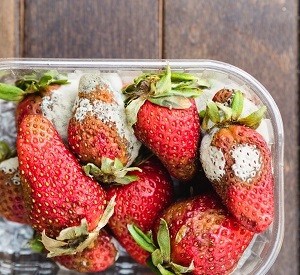 When food goes bad before it can be eaten, it also wastes the energy, fuel, water and other resources that went into growing, processing and transporting it from the farm to the bin. The City of Tacoma's Preventing Wasted Food Program and the Food: Too Good To Waste Challenge helps you become aware of how much food you waste at home, and give you the tools and tips you need to waste less. Enjoy more delicious food and save money by preventing wasted food. Reducing the amount of junk mail you receive decreases clutter and minimizes paper waste. Opt out of unwanted mail through the free opt-out service offered by Catalog Choice. Bothered by credit offers? You can opt out of those too. These resources probably won't stop all of your junk mail, so consider contacting companies and organizations directly to stop unwanted mail. 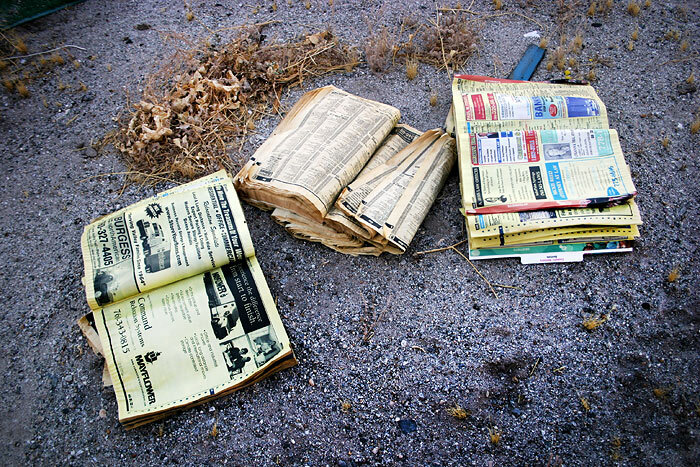 An increasing number of people are turning to online search engines while their phone books sit unused. If you don't want a phone book delivered to your door, you can opt out. Opting out will help reduce the amount of paper used by the phone book industry, which equals about 14 football fields' worth of forest per day. Opting out also helps reduce the amount of climate damaging missions that are released as your phone book is printed and delivered - an amount equal to burning 8.8 pounds of coal. Opting out of unwanted services like phone book delivery is one of the many little things we can all do to make a difference. To learn even more about alternatives to the landfill, visit Pierce County's Recycling Menu.